Leather desk tray made of cowhide. Convenient for your desk, dresser, kitchen counter or any tabletop. 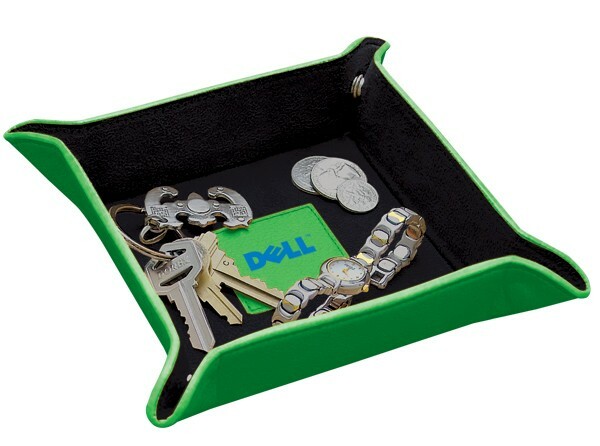 Useful for: change, wallet, cell phone, keys, watch, jewelry, pens, and more. Features: four snap button at corners to create tray, cowhide leather, leather patch in center for decorating, stores flat when not in use or when traveling. Product ships flat and individually boxed.